Look what came abseiling down from my hair today. 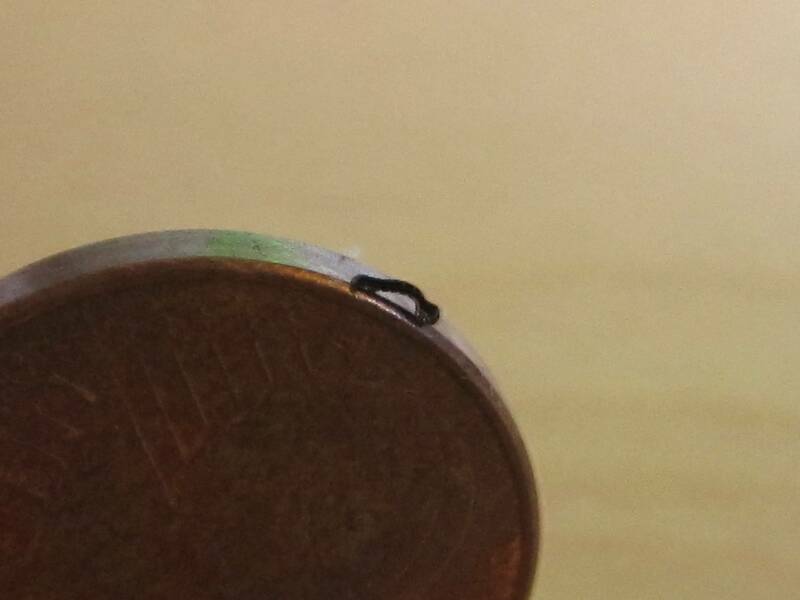 It’s the cutest tiny black caterpillar ever. For size comparison, that’s a coin of 1 euro cent it’s sitting on. Yes, it’s that damn tiny. I had to give it a home in the plants, though. It looked pretty weak, and keeping it in my room would come with the huge risk of accidentally squashing it while not paying attention. Yeah, I can get that fascinated by a tiny bug. I wonder what species it is, though. If any of you recognize it, please do say so! so this is what they look like when they’re little. i always see the big ones, all hairy and everything. It’s a gypsy moth caterpillar I think. hey, keep us updated on her/him ! I’m sure it will get nice and fat in there. teeny tiny – i wonder what it’ll grow up to be? It’s so small and ugly it’s cute. How did you know that it is a girl? What the hell do you do with your hair if you got tiny worms in it? ?